A champion of health education in schools for more than three decades, Maureen M. Fournier is committed to ensuring the well-being of her students. 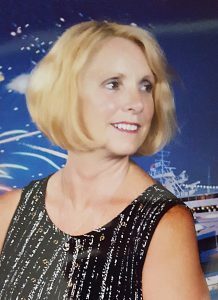 She is currently a member of the Illinois State Board Educated Task Force for Enhanced Physical Education and a freelance consultant for physical education programs developing curriculum and assessment, where she uses the experiences she garnered from decades in the public sector to help school districts on a grander scale. Prior to those positions, Ms. Fournier served as a recreation leader for the Alsip Park District in Illinois from 1973 to 1975, and as a physical education teacher at School District 126 in Alsip from 1974 until her retirement in 2009. She was also the president of the Alsip Council Local 943 of the Illinois Federation of Teachers from 2005 to 2008, 1992 to 1997, 1985 to 1987, and 1977 to 1983. She remains with the group as a member to this day. To keep abreast of the happenings in the industry, Ms. Fournier also maintains affiliation with the Alliance for Health and the Illinois Association of Health, Physical Education, Recreation and Dance. She has worked with the former as an evaluator and chairman of their Blue Ribbon Committee. Additionally, she consults for the Illinois Public Health Institute. As an active member of her community, Ms. Fournier has participated in a number of civic activities. She volunteers at Hope Children’s Hospital, and is a member of the National Club Association committee. Further, she was a participant in Richards High School Parent Boosters Club, secretary of the Richard Area Swim Club, and manager of Oak Lawn Girls Softball. Ms. Fournier’s hard work and dedication have not gone unnoticed. She was honored with the Marquis Lifetime Achievement Award in 2016 and was featured in numerous editions of Who’s Who of American Women, Who’s Who in the World, Who’s Who in American Education, and Who’s Who in America. She prepared for her long and illustrious career by earning a Master of Science in education from Chicago State University in 1983 and a Bachelor of Science in education from Northern Illinois University in 1973. In her spare time, Ms. Fournier enjoys bowling, swimming, and reading.